Mental function may decline faster in older adults with low levels of vitamin D, a new study suggests. Among more than 380 people the researchers followed for an average of five years, those with dementia had the lowest levels of vitamin D.
"It is unclear what vitamin D might be doing," said study author Joshua Miller, chair of the department of nutritional sciences at Rutgers University School of Environmental and Biological Sciences in New Brunswick, N.J.
"There is good evidence that vitamin D gets into all cells of the body, including the brain," Miller said, so it's possible that vitamin D protects the brain from developing the plaques and tangles that are associated with Alzheimer's disease. Unfortunately, "there's a good chance that most people over 75 in the United States are vitamin D-deficient," he noted. Miller cautioned that there's no proof that taking vitamin D supplements will slow mental decline, as this study only showed an association between the two. 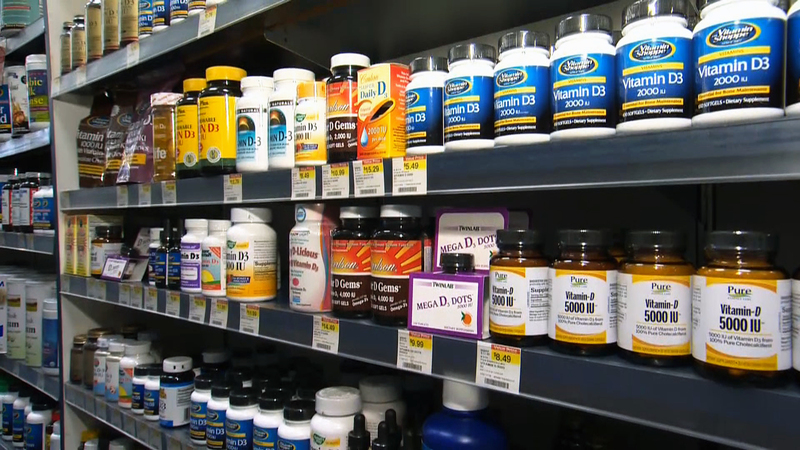 "All we can say is that supplements might be helpful to you," he said. "And the downside of taking supplements is very small." The report was published online Sept. 14 in the journal JAMA Neurology. The recommended daily intake of vitamin D for older adults is 600 to 800 IU, according to the U.S. National Institutes of Health. Vitamin D, called the sunshine vitamin, is found in fortified foods, such as milk, orange juice, cereals and yogurt. Fish, egg yolks and liver also contain the vitamin. Miller and his colleagues defined four levels of vitamin D in blood: deficiency as less than 12 nanograms per milliliter (ng/mL); insufficient as 12 to less than 20 ng/mL; adequate as 20 to less than 50 ng/mL; and high as 50 ng/mL or more. Is vitamin D the key to longer life? The researchers found that most people in the study had levels of vitamin D that were too low; 26 percent were vitamin D-deficient and 35 percent were vitamin D-insufficient. Blacks and Hispanics had the lowest vitamin D levels, compared with whites. Blacks and other minorities have higher concentrations of melanin, which makes their skin darker, but this inhibits synthesis of vitamin D, the researchers explained. Also, dietary intake of vitamin D comes mostly from dairy products, and minority groups tend to consume low amounts of dairy foods, the study authors added. The average age of participants in the study was slightly over 75 years old. At the start of the trial, 17.5 percent of the participants had dementia, almost 33 percent had some problems with thinking and memory (mild cognitive impairment) and 49.5 percent were mentally normal. Vitamin D levels were lower among those with dementia at 16 ng/mL, compared with those with mild cognitive impairment (20 ng/mL) and mentally normal participants (19.7 ng/mL), Miller's team found. During follow-up, the rates of decline in memory, thinking and problem-solving among those who were vitamin D-deficient and vitamin D-insufficient were larger than among those with adequate levels of vitamin D, the researchers found. Levels of vitamin D were not significantly linked with decline in the memory of things and events stored in long-term memory or with the ability to perceive visual and spatial relationships, the study found. Dr. Sam Gandy, director of the Center for Cognitive Health at Mount Sinai Hospital in New York City, said, "Vitamin D levels should be checked at least once in people 55 and older, and should be a part of any evaluation of mental impairment." Gandy, who was not involved with the study, doesn't think that older people should be taking vitamin D supplements as a matter of course, however. "I would stop short of recommending general use of supplements by everyone," he said. "But certainly everyone should have their levels checked at least once in midlife and if there is any mental issue."